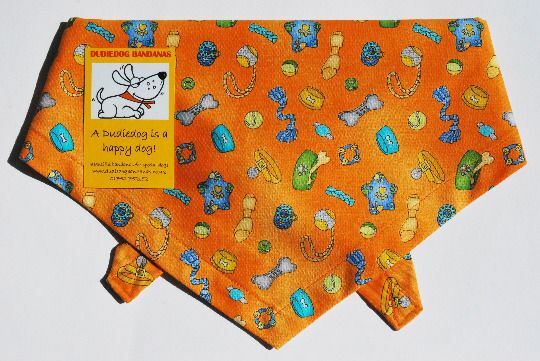 A lovely Premium designer cotton dog bandana in a gorgeous bright shade of golden orange. 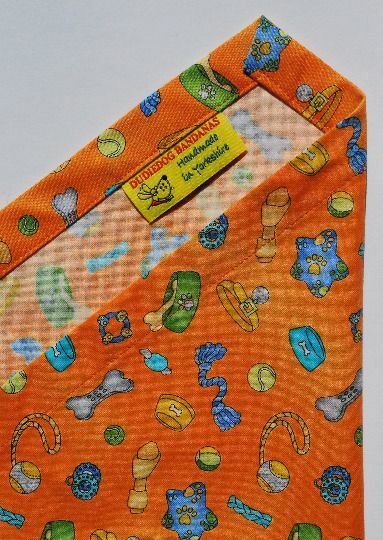 The print incorporates all sorts of doggy treats...bones, tug toys, chews, balls, dog bowls etc. 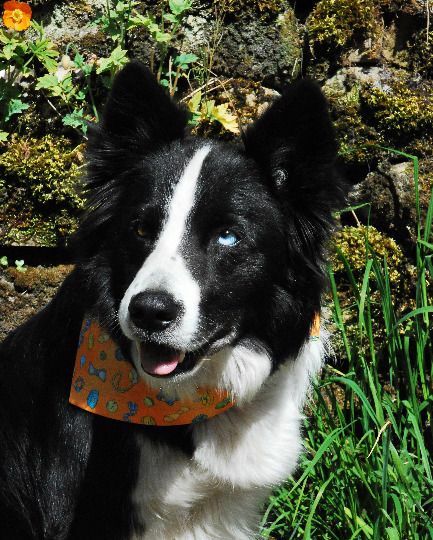 This is a perfect accessory for any dog, and is a great look for any occasion.